This year marks the 50th anniversary of the first moon landing and a significant turning point in world history. The Israeli robotic mission Beresheet has just arrived in lunar orbit, with a scheduled landing on April 11 – making Israel the fourth country to land on the surface of the moon. 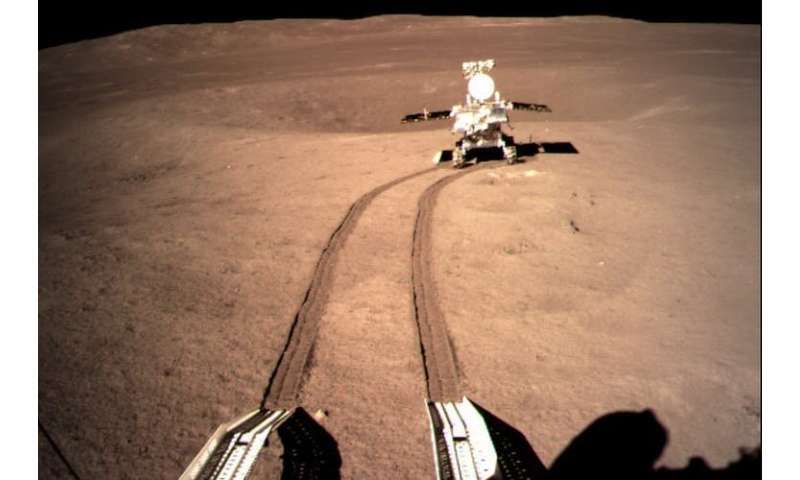 It follows China's exciting first ever landing on the moon's far side in January. This new space race recently prompted the US vice president Mike Pence to commit to another manned moon mission within the next five years. But is this claim even possible, given that we haven't sent people there since 1972? And is there any point in doing so from a scientific perspective? If governments have a failing when it comes to human space exploration programmes, it is not understanding the level of time and commitment required to ensure success. The new pledge follows US president Donald Trump's request in 2017 to get a manned mission to land on Mars before the end of his first term (2020). This is an even more difficult prospect than a manned lunar mission – the time to reach the red planet varies based on the relative position of the Earth and Mars. The launch opportunities to Mars, when the travel time is the shortest, occur roughly every two years. With a travel time of six to nine months, such a mission would need to have left in April 2018 to arrive before the 2020 deadline. One obstacle to getting to the moon in five years is funding. Space missions are not cheap. The excellent Cassini mission, an unmanned spacecraft to Saturn, cost approximately US$3.26 billion. The current estimate for the NASA 2019 budget is US$19.9 billion, and this has to cover new as well as ongoing missions, research centres, staff members, studentships and research and development. While this sounds like a lot of money, the amount that NASA receives as a percentage of GDP has been dropping rapidly. In 1966, NASA drew 4.4% of national spending – this year's budget sits at slightly less than 0.1%. If the current US administration is truly serious about matching the commitments of presidents during the Apollo era, they will need to increase NASA funding to similar levels. But even with a lower budget, why haven't we managed at least some manned missions? Naturally, each president wants to leave their own mark on human spaceflight missions. And while spaceflight requires long planning times, there is an unfortunate cycle of death and rebirth of lunar and Martian human spaceflight programmes. For example, George Bush Jr cancelled the space shuttle program while Barack Obama cancelled the Constellation programme, which was aiming to return people to the moon by 2020. Set up under George Bush Jr, this programme had a more achievable 16 year timeline, comparable with Apollo's. Ultimately, the first step towards a new moon mission is sustained funding from state governments which span numerous electoral terms in office. 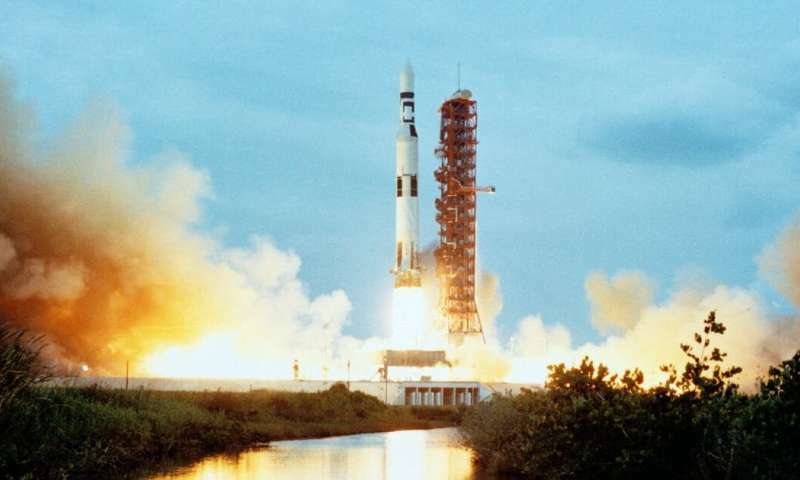 A technical difficulty with a manned mission in five years is that there is no launch vehicle currently available that is powerful enough to do the job. NASA is currently working on the Space Launch System (SLS), a relic of the Constellation programme, which is still yet to be flown for the first time. Without even a test flight, the ability to carry astronauts to the moon is still many years away. Even the recently launched, commercial Falcon Heavy is unable to perform this mission in a single launch. It would instead require at least two launches, carrying different parts of the spacecraft which would then need to be docked in orbit, complicating and delaying the mission. One of the bigger questions to ask ourselves is whether we need to send a manned mission at all. There have always been advocates for robotic missions over human ones. As technology advances, we have the ability to perform science with increasingly smaller and more sophisticated robots. That's important given that the cost of launching material into low-Earth orbit is roughly £15,000 per kg. Sending people and everything they need is an expensive business compared to sending a camera. But this might change with commercial and reusable rockets being developed. SpaceX is claiming the launch cost of its Falcon 9 is only around £4,000 per kg. The current US lunar mission plan is to send astronauts to the southern polar region of the moon with the aim of creating a staging post for long-term manned presence on the moon. In particular, the south pole has craters that are very rich in water ice, which is not only essential for human life but can also be used to produce fuel and oxygen to breathe. The ability to electrolyse water into hydrogen and oxygen has existed since the 1800s, and the power required can easily be supplied by solar panels. A staging post could enable NASA to launch American astronauts to Mars and beyond. Other advantages include the ability to vary what is being studied and examine delicate geological records in place. We could also use the moon to set up an astronomical observatory, which would get an excellent view of the universe given the thin atmosphere there. The reasons for the sudden rush to the moon is no doubt prompted by the possibility of a space race with China. The capabilities of the Chinese National Space Agency (CNSA) have advanced at a prodigious rate, from their first manned orbital flight in 2003 to their first space station in 2011. 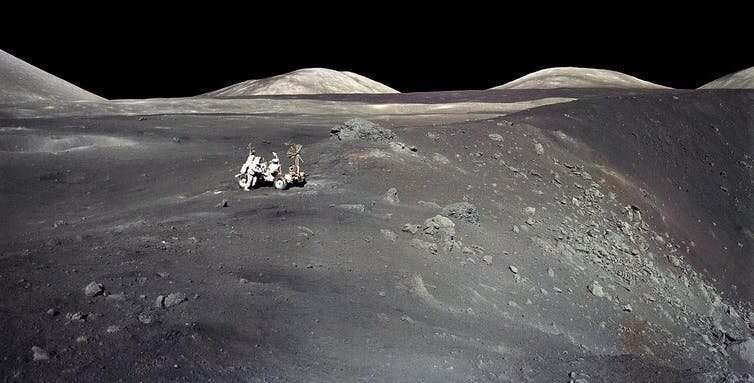 They also managed to put a lander and rover on the moon in 2013 and again in 2018, which sent back incredible high definition images of the far side of the moon. A sample return mission is also planned for later this year – with a timeline of 15 years. The major concern of a new space race is that space policies around the world will be in direct competition, and the number of nations involved could lead to the militarisation of space. President Trump's creation of another wing of the military, the "space force", is a sign of such a development. Going back to the moon will certainly create exciting possibilities for scientific research and space exploration. But whether it is possible in the near future remains to be seen. The cooperation of global powers and private industry may, in the end, prove to be the best strategy to win this new race for everyone. "SpaceX is claiming the launch cost of its Falcon 9 is only around £4,000 per kg." Great, now we can save even more, by Not sending the tonnes of crap needed for human survival. Through the past centuries, explorers risked their live, to go into the unknown, because there was No Other Way. Today we are creating the machines and communications systems which can do this, without, pointlessly, putting human life at, unreasonable, risk and without paying outrageous sums of money (either public or private) on supplies, for those people and the fuel to put all three into space. There is nothing to be gained by putting a base on either the moon or Mars but much to be lost (and wasted), in terms of life and money. It is, outrageously, foolish to do these thing, simply for the "adventure".